If you’re about to buy your first e-cigarette, we congratulate you. Switching from smoking to vaping is a decision that will change your life in more ways than you can imagine. Before you buy, though, you have a decision to make. When you buy an eGo e-cigarette kit from Euro Vape, you’ll also need to buy at least one bottle of e-liquid. We sell e-liquid with 3, 6 and 12 mg of nicotine per ml. We also sell nicotine-free e-liquid. So, which e-liquid nicotine strength is best for an eGo e-cigarette? In this article, we’ll provide some advice that can help. Is Switching to E-Cigarettes Hard? The most important aspect of switching from smoking to vaping is replacing the nicotine that your body expects to receive at a constant pace throughout the day. It isn’t the only aspect, though; cigarette smoke also contains thousands of other chemicals that we don’t fully understand, and your body expects to receive those chemicals too. When you first switch to vaping, it may take a few days before you feel completely normal. During that time, it’ll be easiest if your body continues to receive the nicotine it expects. If you’re a daily smoker and are about to make the switch to vaping, your nicotine needs are high right now. We suggest the 12 mg nicotine strength to new switchers who smoke half a pack of cigarettes or more per day. If you smoke less than half a pack of cigarettes daily or prefer very low-nicotine cigarettes, consider trying the 6 mg strength instead. If you find the throat hit too irritating or simply don’t find vaping pleasurable, your nicotine strength is probably too high. 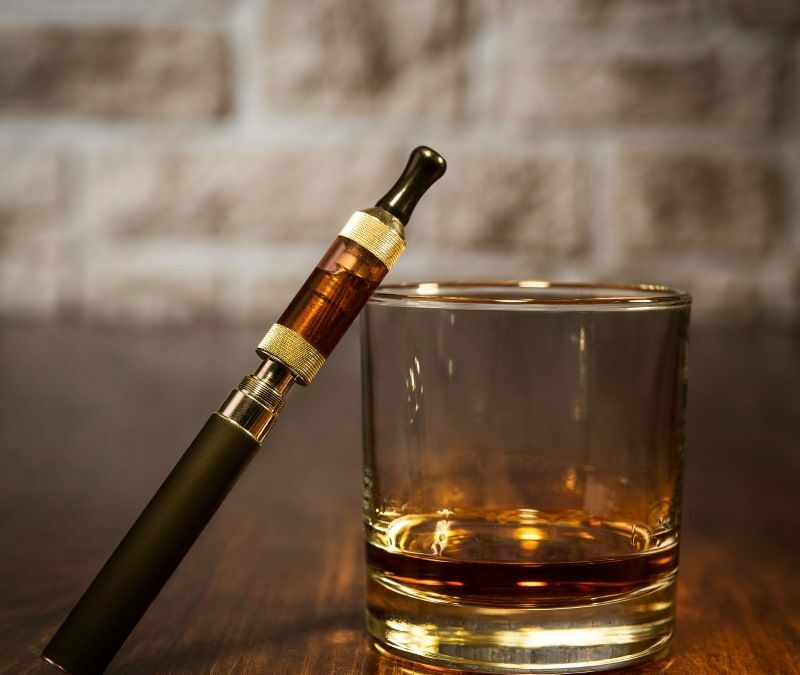 If you find yourself running out of e-liquid frequently because you’re always using your e-cigarette, your nicotine strength is probably too low. The fact that you can choose your nicotine strength is one of the greatest benefits of vaping because you can reduce your nicotine strength over time if you like. Would you eventually like to consume no nicotine at all? Vaping makes it possible to reduce your nicotine intake at the rate of your choice simply by switching to a lower-strength e-liquid. You can even lower your nicotine strength to zero if you like.